Journey 2: The Mysterious Island has already made over $270 million at the world wide box office in only four weeks so it's no surprise New Line is moving forward with JOURNEY 3. Director Brad Peyton and writers Brian Gunn and Mark Gunn have closed their deals to return for another sequel. No word of any cast will return yet. New Line is shooting for a 2014 release and it'll be in 3D. The movies are based on the works of 19th century French writer Jules Verne, who penned 54 Voyages Extraordinaires novels. "I grew up a fan of Verne, so I know a lot about the mythologies. Mysterious Island was one of eight or nine really seminal works. I know we've just scratched the surface of what we can do. This one's going to be a lot bigger. We're going to go to a completely different world. It's just going to be a bigger experience, and we're going to grow the mythology. Journey 2 was about rebooting a franchise; now it's about making the seminal work in the franchise." These movies have been a lot of fun and I'm curious to see which story of Verne's they use next. 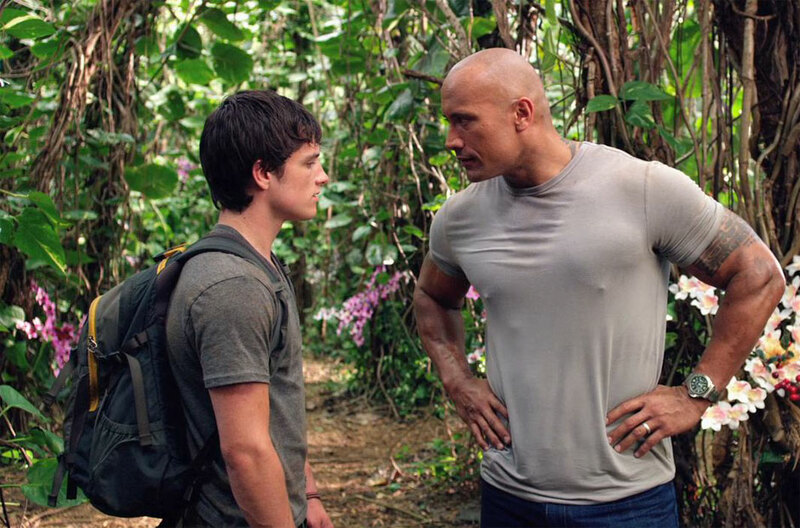 I'm also curious to see if Dwayne Johnson or Josh Hutcherson (pictured above) will return. Johnson appeared in Journey 2 while Hutcherson has appeared in both movies.